Join Jennifer to explore one of Forensic Psychology’s most troubling topics. During this talk, you will discover how serial killers are classified. What are the differences between Lust like the BTK (Blind, Torture, K*ll) Killer, and Visionary killers such as David Berkowitz (Son of Sam)? Jennifer will explore the different categories, using case studies to illustrate. Jennifer will also debunk common Serial Killer Myths – you may be surprised by what you learn! 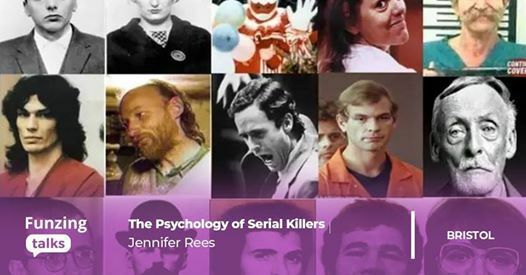 Jennifer will discuss the typical differences between males and female serial killers, again, incorporating case studies to illustrate. You will also investigate the phenomenon of Killer Couples such as Fred and Rose West and The Moors Murderers Ian Brady and Myra Hindley, as well exploring the Folie à deux syndrome, a.k.a ‘shared psychosis’. Why do women fall in love with known serial killers? 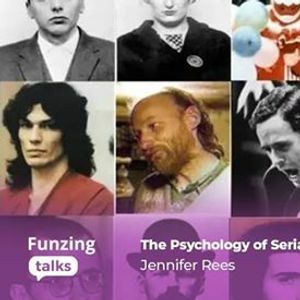 Jennifer will discuss the clinical knowledge surrounding why serial killers gain admirers, fan mail, and even spouses in light of their atrocious crimes. Learn about Hybristophilia, and the astounding case of the Night Crawler’s trial. How common are homicidal fantasies? Have you ever fantasised about killing someone? You may be surprised by the results of the research! Identifying John and Jane Does – how are victims identified? You will watch a fascinating time-lapse video of facial reconstruction on the skull of a discovered body.